The transportation industry has been able to survive the recent downturn in the economy. Although it is not completely immune to the situation, there remains a basic for a sturdy trucking industry to ship food and other consumer goods throughout the United States. 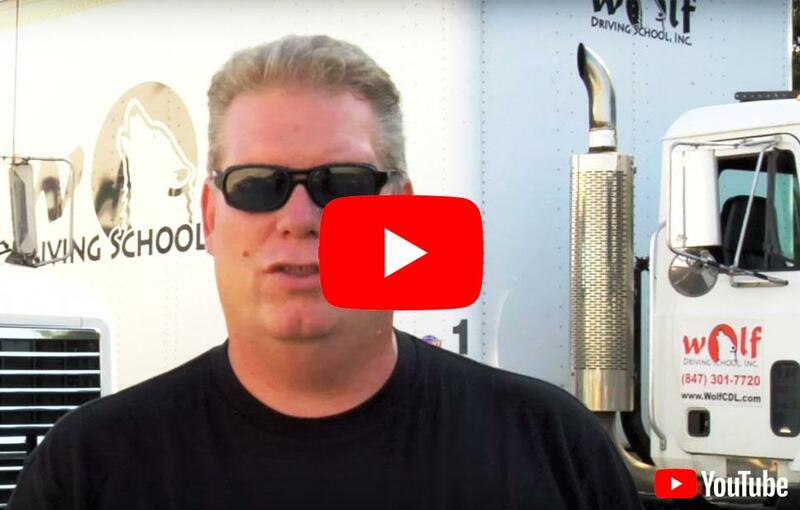 That is one of the motivating reasons for interested Carol Stream residents to enroll in CDL Training to become truck drivers at Wolf Driving School. Good pay and benefits is certainly moving force, as well. That’s because it is reported that first year drivers frequently earn around $35,000. After a couple more years in the industry, it isn’t unusual for drivers to be earning between $45,000 and $50,000 annually. In addition, seasoned drivers, who own their trucks, often earn $100,000 a year. We have been offering CDL training and truck driver training at Wolf Driving School to Carol Stream students for some time. We also offer CDL Class A training (the highest possible truck licensing) for additional endorsements such as: driving tankers, triples, passengers or hazardous materials. Honesty, Reliability, and Quality are the basic essentials upon which our company is based. We employ only the finest, highly-skilled and well-trained instructors in addition to owning and operating only the best and safest equipment in the business. So that our students are able to work while they are attending school, our CDL training and truck driver training classes offer flexible scheduling. Our objective is to help our students in achieving their goals, as well as to train them to be successful, safe, and confident drivers. Carol Stream, Illinois is located in DuPage County and is home to approximately 46,598 residents. It was named for the founder Jay Stream’s daughter, Carol. There are 16,054 different households and 11,778 family households in Carol Stream. Located 29 miles northwest of Chicago, Streamwood is located in Cook County. The median household income in Carol Stream is $78,396, and the median home value is approximately $255.726. IN the early 1990s, significant industrial and commercial development occurred in the community bringing with it financial investment and a substantial number of jobs. At the end of the 1990s, the Village had an inventory of developed retail space totaling 1.34 million square feet and about 15.6 million square feet of industrial building are. There are quite a large number of notable national chains and businesses located in Carol Stream. With this retail expansion, there has been a consistent need for CDL licensed truck drivers. The inflow of goods to these stores finds its way into Carol Stream on trucks. Many of Carol Streams locals have been signing up for CDL training/truck driving training classes at Wolf Driving School. Wolf Driving School provides you many concrete answers to enrolling in CDL Training and Truck Driving Training. In addition to an increase in wages, trucking offers you with the means to explore the region and the country. Truckers also perform a significant service to this nation. They transport about 80% of all our products! Not only can Wolf Driving School offer you the resources to get a CDL, they can also be your key to locating a job. Call us today to sign up for our CDL training/truck driving training classes.